Dolphin is an open-source Nintendo GameCube, Wii, and Triforce emulator for Windows, Linux, and Mac OS X. It is the first emulator to successfully run commercial GameCube and Wii games. It is still the only emulator capable of running commercial Wii games. Its name gives reference to the Nintendo Dolphin, which was the codename for the GameCube. 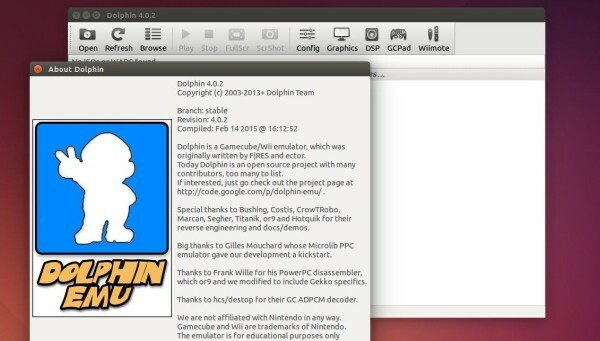 Dolphin is a community driven project with developers from all over the world who work together to bring you this high-quality software with remarkable features. 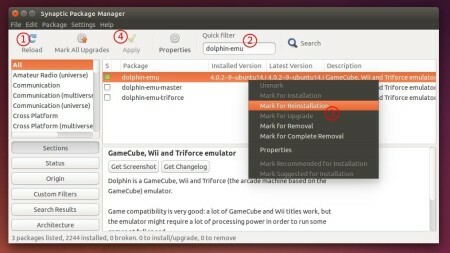 Dolphin Emulator’s wiki page refers to an unofficial PPA repository that contains both the stable and latest development version of this software packages, which so far supports Ubuntu 15.04, Ubuntu 14.10, Ubuntu 14.04, Ubuntu 12.04 and their derivatives. 3. 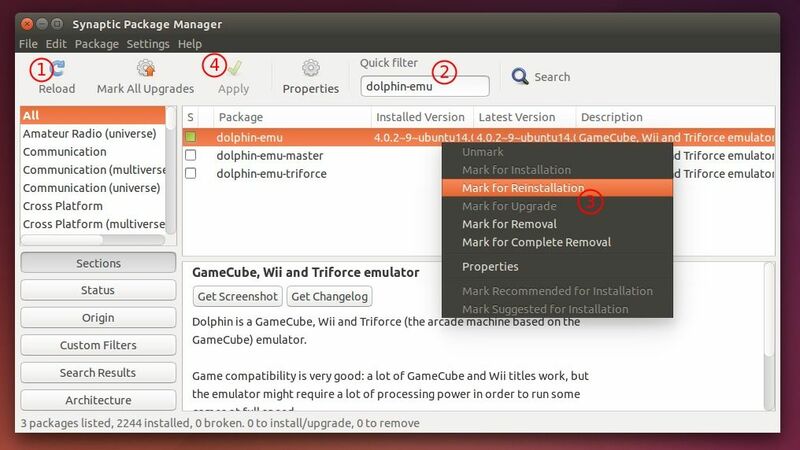 (Optional) For the latest development version, replace the package name dolphin-emu with dolphin-emu-master in previous command or Synaptic Package Manager. Wow it worked great. You saved me a lot of frustration. Thanks Ji m!